Abbreviated as "IoT", refers to physical objects that feature an IP address and can communicate using the Internet. Question: Does anyone know what the “S” in “IoT” stands for? 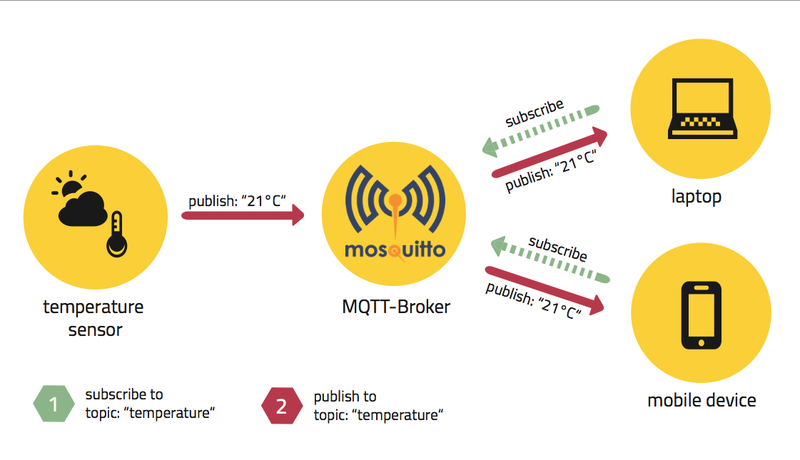 MQTT is an "Internet of Things" connectivity protocol. Originally created to monitor oil pipelines over satellite links, MQTT is now an open standard. 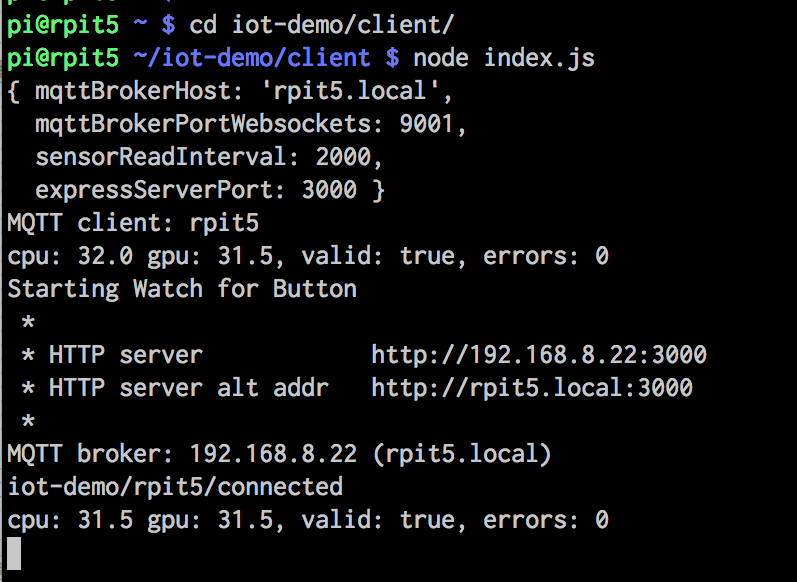 In MQTT protocol, a "Broker" does the work of message routing. Running on a Raspberry Pi! working: live temperatures will be displayed above. disabled: just the "topic" will be displayed, e.g. We'll use some of these pins today! Switch presses and LEDs are handled using onoff library. 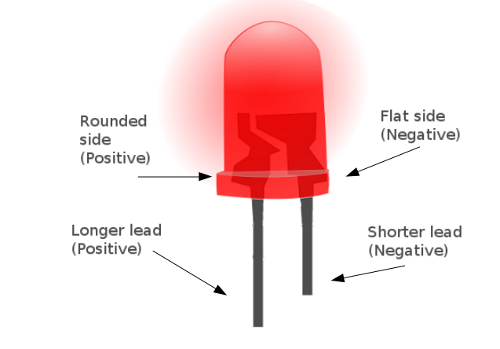 An LED has a direction. Longer lead is "Positive"